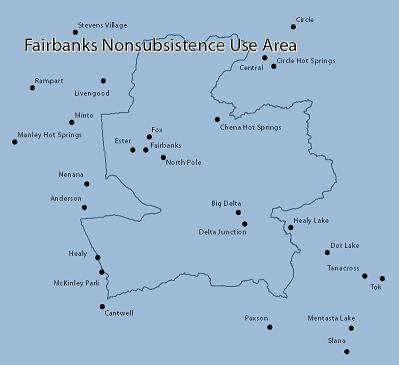 What is a nonsubsistence area? 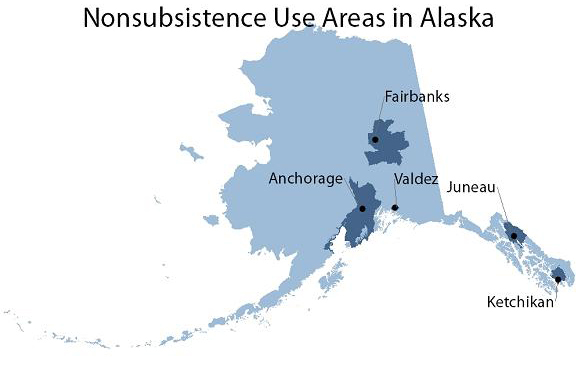 Where can I subsistence hunt and fish around Anchorage, Fairbanks, or Juneau? What about other Areas? 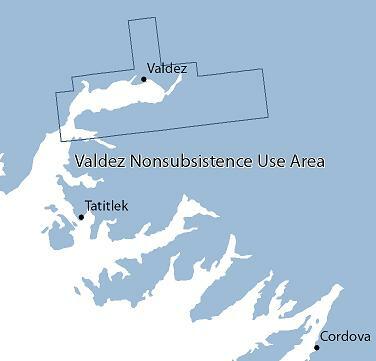 The Joint Board of Fisheries and Game is required to identify nonsubsistence areas, which are defined as areas where dependence upon subsistence (customary and traditional uses of fish and wildlife) is not a principal characteristic of the economy, culture, and way of life (AS 16.05.258(c)). The Alaska Board of Fisheries may not authorize subsistence fisheries in nonsubsistence areas and the Alaska Board of Game may not authorize subsistence hunting in nonsubsistence areas. 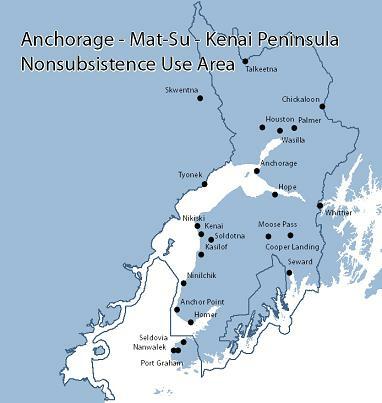 In these areas, the subsistence priority does not apply. Personal use fisheries provide opportunities for harvesting fish with gear other than rod and reel in nonsubsistence areas. Likewise, the general hunting regulations provide opportunities for taking wildlife in nonsubsistence areas. Select “Fishing” or “Hunting” above for specific opportunities. 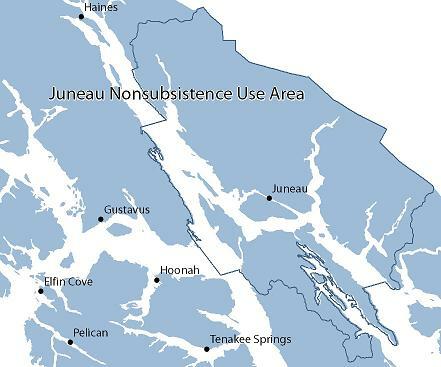 Most of the areas immediately around Anchorage, Fairbanks, and Juneau have been designated as nonsubsistence areas by the Joint Board of Fisheries and Game. 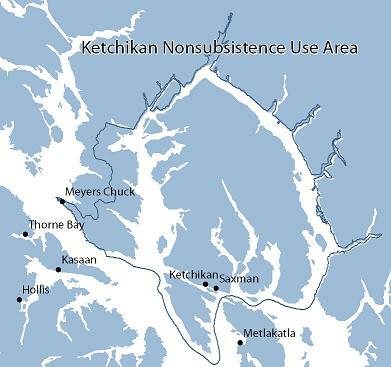 In addition, areas around Ketchikan and Valdez have been designated as nonsubsistence areas.